The Israeli wine was associated with sweet, alcoholic mass-produced goods for quite a long time keeping the far-reaching opinion of hopelessness to perform “good” wine production alive. At a time when we know that tradition of viticulture in present day Israel, or rather Palestine, stretches back to antiquity and did not come to a standstill even under the Ottoman rule, this poor reputation is even more surprising. With the end of the Ottoman time in the 19th century, the Israeli winegrowing started to gather pace, not least due to Baron Edmond de Rothschild who streamlined the production and invested his knowledge and money. Nowadays the production of wine grapes spreads over approximately 5.000 hectares. 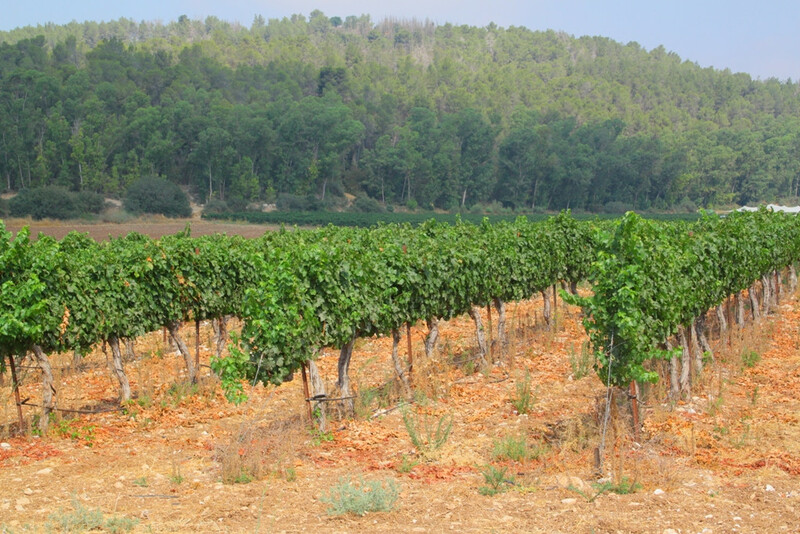 Alongside the Samaria close to Haifa, the regions of Samson (close to Tel Aviv), Harei Yehuda (Hebron Hills, near to the Negev Desert) and Galilee are the typical wine growing areas. Young Dalton Winery from the Upper Galilee, the Flam Winery near to Beit Shemesh and the socially committed Tulip Winery located in the residential community of people with disabilities Kfar Tikva: these are just a few examples of numerous small vineyards which today produce quality wines at the international level. Also, large cooperatives like tracing back to Baron Rothschild time Carmel Winery or the famous Golan Heights Winery are successful in producing wine. Also, the kosher one, exporting it all over the world. Gadi Sternbach is a late starter in winegrowing and a passionate host. 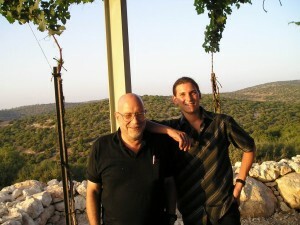 Moreover, he has plenty to tell about the history of the Israeli viticulture. He cultivates 3 ha of vineyard in the Ella Valley, a region with a touch of Tuscany spirit with warm, sunny days and cool nights, even in the midsummer. His estate is situated in Giv’at Yesha’ayahu, a small village 30 km away from Jerusalem. In this interview, Gadi Sternbach reveals how did this come about to start from the beginning in his late fifties, what was the influence of his German background and why, despite the small size production volume, did he decide to join the PAR Wine Award International. Mr Sternbach, you used to work as a shepherd, you studied geology, and you were the first who offered trekking on the Sinai. When did you establish your winery and how did this idea arise? GS: I was working in tourism between 1973 and 2001. Before being involved in this business, I used to work as a shepherd and spent the year 1971 in Europe, to be precise, in Great Britain to do an internship in sheep breeding. During this time, I discovered my first interest for wine: on my way there, I visited my friend in Dijon (France) who gave me the first impression of the vineyards. My return path led a friend of mine and me through Germany, Austria and former Yugoslavia. During this trip, we spent our nights in the “Strausswirtschaft” (“is a type of wine tavern common in winegrowing areas of German-speaking countries that is open during certain times of the year” Wikipedia) and vineyards where I started dreaming of own vineyard, wine cellar and “Straussenwirtschaft” after I would give up the nomadic lifestyle and settle down keeping my flock of sheep. The idea of agrotourism seemed to make sense to me. 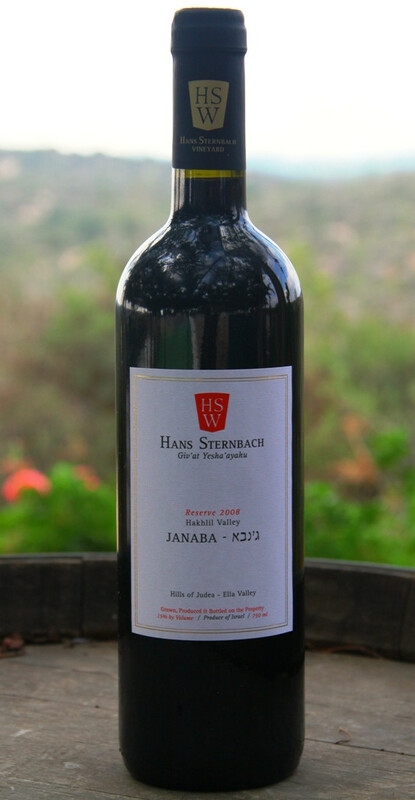 You have named your wine-growing estate after your father, Hans Sternbach. Did wine feature prominently in your family in the past as well? GS: Not directly and mainly from my mother’s side. The story how we found the name started with my brother’s plans to join the business. “The Sternbach brothers” would sound perfect in Germany, but in Israel people would think it is a shoe shop. The family council had the idea of using my father’s name. At the end of the story, my brother did not board, and the name stayed. My grandfather was a wine connoisseur. When we lived in Germany ( in Weilburg a.d. Lahn), my grandparents loved to travel to the Moselle, Rheingau, Alsace and many other places. My grandfather ordered 360 bottles of wine every year to enjoy it nearly every day, except the Jewish holidays. When I became grown up, there was no worth drinking wine in Israel. There was a long-held belief that one couldn’t produce good wine in Israel: too many obstacles like unfavourable soil and climate. My grandfather always thought that all this was nonsense anyway. Otherwise, the ancient Templars wouldn’t be the successful vintners. Well, yes, wine was always indirectly an issue in our family. You mention on the website that you number your wines among the few which belong to The Old Wine World. What do you mean by this? Does this refer to the way how you grow your wine? did. This situation is quite similar to the one after the EU introduced the wine standard. While creating our guidelines, we determined only seven permissible components including yeast strains, yeast nutriment, sulphur dioxide and bentonite for the fining. In any case, we add neither sugar nor acid. In 2016, we worked solely with natural wild yeast. We clarify and filter only our white wines, and only with bentonite thereby we use neither protein nor gelatine to keep it vegan. We do not farm organically. However, we try to avoid using the toxins in the vineyard as much as possible. We do not use a plough, and we feed our soil with grated vegetal material from the previous year. We reduce spraying for pests to a minimum needed to protect the plants, in total 3 or 4 times. Furthermore, we prefer to hand-pick our grapes because taking into consideration the small size area we are more flexible to decide which type of grape should be harvested first. Which grape types die you choose in 1996 and 2010 and what was your strategy? GS: We planted Cabernet Sauvignon in 1996, which was new for our region. I thought I would be on the safe side with this well-thriving grape type and I was right about it. I was always a fan of wines from the northern Rhone valley. After trying some excellent Syrahs produced very close to our place, round about 20 km, I made my choice for this variety. Then I decided to plant Petit Verdot to provide enhancement for the Cabernet Sauvignon. 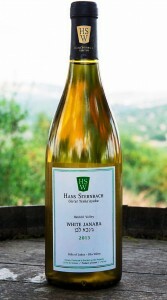 If it comes to the whites, I first was thinking about Riesling, but it was impossible to buy seedlings in Israel in 2010. Therefore, I decided to go for Sauvignon Blanc which was my second choice from the very beginning and for Rousseanne and Viognier, two white types from the northern Rhone valley, often made, harvested and fermented with Syrah in order to steady the colour. Syrah has enormously rich colour, and it is low in tannin. But who knows, perhaps the Riesling is yet to come. Besides your winery, you manage a restaurant. 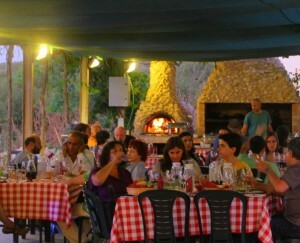 Which food typical to the local area would you recommend and which of your wines would you serve with it? GS: I would propose a beef stew with root vegetables and red wine. I would serve a Janaba Reserve with it. Who are your guests? Are they mainly locals? Or do many tourists visit you? GS: Many tourists visit us. Many travel agencies know me from my time in the touristic business that is why we often welcome groups of 10 or even more people. Regularly we are open on the weekend, which means Friday and Saturday. On the remaining days, we host groups, also from Germany. Time and again, our friends visit us, sometimes famous people are among them, for instance, the German ambassador or Jerusalem provost. 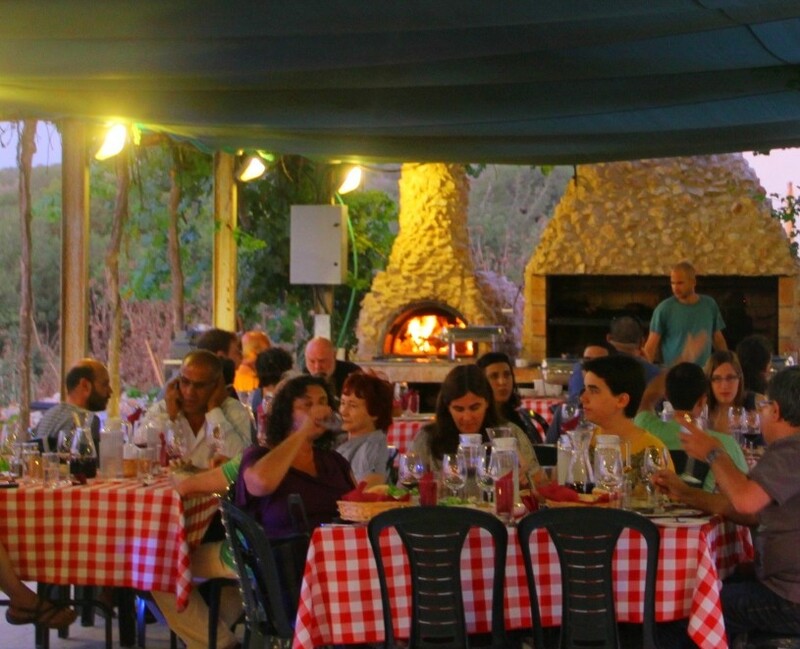 Israeli wine is not widely known over here, which was one of the reasons to invite winegrowers from your country to participate in the PAR Wine Award International. You were very successful in 2016. Is it possible to buy your wines in Germany, Austria and Switzerland? GS: We are too small to export our wines. Basically, we sell our 15.000 bottles direct from the vineyard. I am just trying to get a foot in the door of the restaurants in order to promote the wines. There a few shops offering our products, however, it makes roughly 3 or 4 percent of our turnover. I had lots of interest in participating in the PAR Wine Award International because it was dedicated to wines from the eastern Mediterranean, the Balkan Peninsula and the Black Sea region which are supposed to be the root of winegrowing and it was fascinating to draw comparisons between those wines and us. Usually, we do not submit our wines for competitions that often. There is an Israeli one, called Terravino which I join from time to time. Apart of this, we did not take part in any of them since 2006 which was the year when the wine contests enjoyed immense popularity. At that time an engaged wine lover, an immigrant from Argentina, encouraged small wine producers to send their products to the international wine awards dispelling the widespread myth of impossibility to create a good wine in our country. And lo and behold, the medals rained down. Whenever an Israeli wine won a medal, it was always placed in the top news in the national press which was very helpful for our wine industry. In 2003, we were lucky to win three silver medals, four gold medals and two double gold during six various competitions. This achievement had an enormous impact on our sales: the 2008 harvest was not yet bottled, we sold already 68 percent of it. I had to stop selling and decided to expand the cultivation area. Since then there is always enough stock. Lack of time and energy prevent me from taking thorough care of the sales – don’t forget, I am going to turn 70 soon. But luckily, my son Adam returning from the viniculture school in Geisenheim soon will take over, and we will set about working on this topic again. Thank you very much for your time! We wish you further success and are looking forward to tasting new vintages in 2017. Dieser Beitrag wurde unter Allgemein abgelegt und mit Ella Valley, Gadi Sternbach, Hakhlil Valley, Hans Sternbach Winery, Janaba Reserve, old world wines, PAR Wine Award International, Wines from Israel verschlagwortet. Setze ein Lesezeichen auf den Permalink.